The Post Production Studio is designed to accommodate typical needs and workflows associated with audio post production for picture. 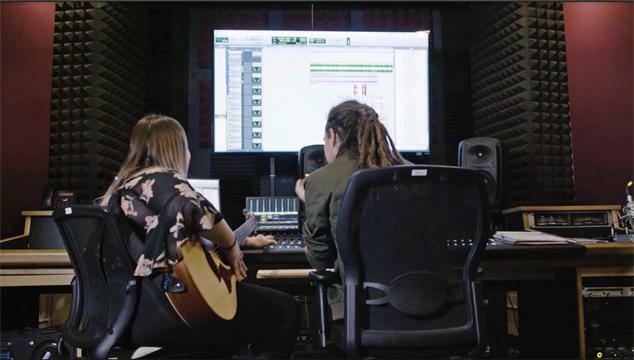 This includes Pro Tools Ultimate, an Avid S6 control surface, Genelec 5.1 monitoring, a Narration/ADR/Foley isolation booth, Foley props and sound effects libraries. Additional software includes the Dolby Atmos Production Suite and iZotope RX Advanced. 32-fader Avid S6 with Joystick panning module. 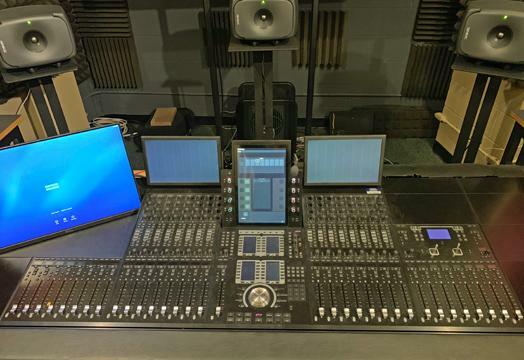 5.1 surround monitoring through Genelec 8341 (LCR) and 8331 (LsRs) Coaxial SAM monitors and a Genelec 7360A SAM Studio Subwoofer (LFE) controlled via an Avid XMON monitor controller. Pro Tools HDX with 8 inputs and 8 outputs. API A2D 2-channel microphone preamplifier. Avid S6 and Genelec 5.1 Surround Sound in the Post Lab. Cinematic environment enhances creative collaboration.